A young female patient presented to our clinic with a main complaint of missing upper lateral incisors. The teeth had never fully developed and were missing singe the deciduous (milk teeth) lateral incisors fell out. 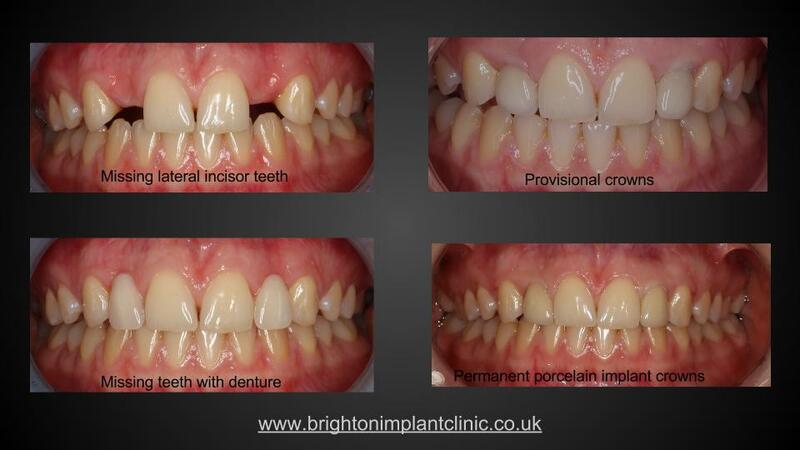 For the last 8 years the patient had used a partial acrylic removable denture. Although the denture provided a replacement for the missing teeth, the denture teeth were not fixed and moved slightly during eating and function. Consequently the patient came to our clinic looking for an option to replace the missing teeth and also to get rid of her removable denture all together. The initial phase of treatment was to ensure that sufficient amounts of bone tissue was available for dental implant placement. During the implant surgery the stability of the implants was checked. If the stability of the implants is adequate or above a certain threshold then its possible to place provisional implant crowns on to the implants immediately following surgery. 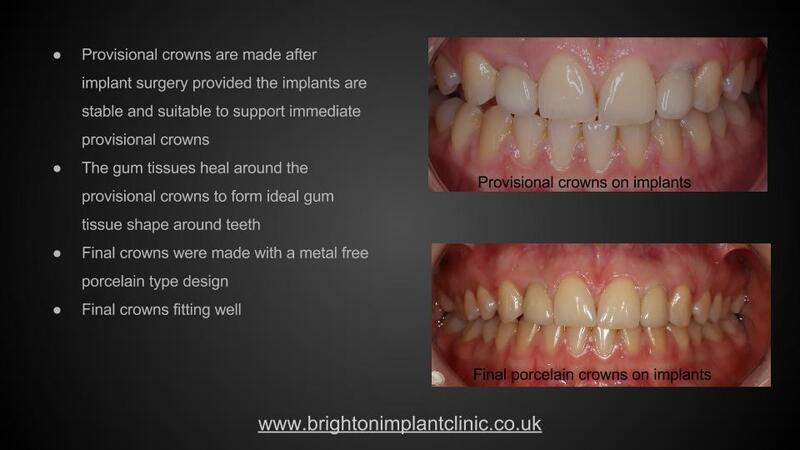 The provisional crowns were placed onto the implants for a period of 4 months while the implants fused with the jaw bone. After this healing phase the patient returned to see us to complete the treatment. New impressions were taken of the healed gum tissues and implant positions. Porcelain crowns were made to fit onto the implants. The aim of the dental technician was to make 2 crowns that were indistinguishable from the natural teeth. 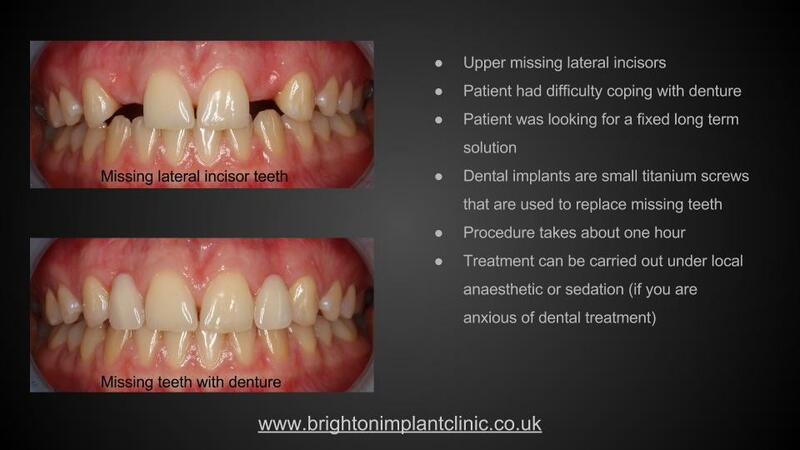 Dental implants can last many years provided they are properly maintained and looked after. Yearly dental checkups and hygiene appointments are recommended to ensure that the implants continue to function properly.